Last Saturday I fell asleep in the park, basking in the unexpected rays of sunshine. I was grateful for this small patch of green, right in the centre of the city, and – judging by the crowd of people around me, with their kids, picnic blankets and Frisbee discs – I was not alone. Most city dwellers would agree that nature in the city is precious. Trees and parks, rivers and ponds, birds and butterflies – they all make our hearts sing (and real estate prices soar) but are we ready to turn our appreciation into action? Not all nature lovers are ready to be nature activists. Luckily, there is a lot local governments can do to support this shift, reaping not only environmental but also social and economic benefits. The research on ecosystem services and nature-based solutions confirms that nature is key to addressing many societal challenges, including e.g. human health and well-being, resilience and climate adaptation or food security. However, the tasks of protecting, managing and restoring nature should not be left to experts alone. Engaging with people, in a true URBACT spirit of participation and co-creation, can bring new ideas, resources and opportunities. That is what four URBACT Good Practice cities, Bologna (Italy), Guimarães (Portugal), Ljubljana (Slovenia) and Strasbourg (France) have proven during the “Nature in the City” panel at URBACT City Festival 2017 in Tallinn. (Crowd) funding a greener city in Bologna? 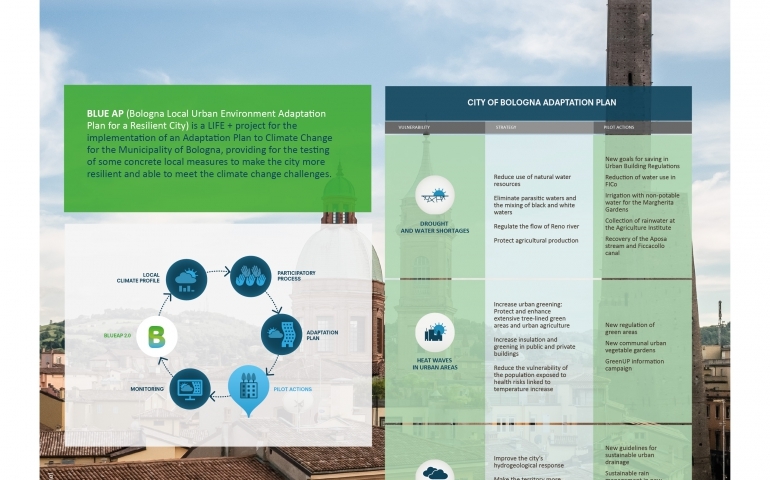 The city of Bologna (Italy) showcased their ambitious resilience strategy, looking to prepare the city for the impacts of the changing climate. 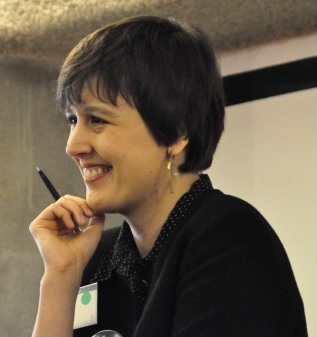 Raffaela Gueze, responsible for sustainable development in Bologna, explained how the process of developing the strategy, combining long-term planning with quick-win experiments, benefited from broad stakeholder involvement. The audience in Tallinn was especially interested in Bologna’s experience with OpenGAIA, a crowd funding platform that allows citizens to sponsor the planting of new trees in the city. The platform was an experiment, building on an earlier experience involving private companies as sponsors for new urban green in exchange for carbon offsets. As people behind the most successful initiatives emphasize, the main win of the “crowd-funding” campaign is not necessarily the funding but rather the crowd, in this case a group of people committed to greening the city. It would be interesting to see whether more cities follow in Bologna’s footsteps, inviting citizens to co-sponsor urban greening initiatives, and what the long-term impact of those initiatives is. A number of cities are currently experimenting with crowd funding tools for sustainability-related initiatives, e.g. the city of Ghent (Belgium) that used its municipal crowd funding platform to support projects addressing climate adaptation, offering match funding from the city to those that were most popular. However, citizens cannot be the only ones investing in urban nature. In order to build new resilient infrastructure, new financial instruments are needed and also here Bologna’s experience can inspire others. Thanks to its work on the strategy, the city was able to access the Natural Capital Financing Facility technical assistance to prepare a feasibility study for climate resilient infrastructure in the city. 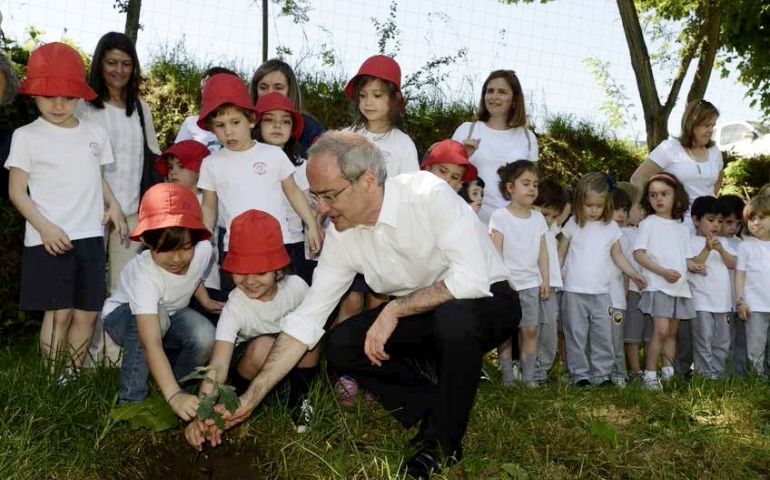 Guimarães (Portugal) has succeeded in building a strong partnership for biodiversity, involving public authorities, private sector, research institutions and – perhaps most importantly – citizens, especially the youngest inhabitants of Guimarães. How did they manage to do it? According to Carlos Ribeiro, Executive Director of Laboratório da Paisagem, an important element was addressing citizens as co-producers of knowledge thanks to a custom-designed app. Biodiversity GO! allows everyone to document existing species of plants and animals. By inviting people to become so called “citizen scientists”, Guimarães managed to turn the exercise of inventorying local species into a fun, community-based activity. Citizen science, the idea of involving the public in scientific research, is not new. It has been long used also for environmental projects, e.g. collecting bird migration records or tracking marine debris. However, recent years have seen a surge in its popularity, with new digital tools opening up exciting possibilities to facilitate especially data collection and analysis. Just as crowd funding is not merely about money, citizen science – as promoted by Guimarães – is about much more than knowledge. In addition to the community building effect of the inventory exercise, playing with the app turns an abstract concept of biodiversity into a personal encounter with local plants and animals. It is also a clever response to our culture’s obsession with digital tools. Instead of complaining that kids spend hours staring into screens of various sizes, why not show them what hidden superpowers their smart phones have? The value of crowd sourcing it that it allows to look for knowledge beyond that of local administration and academia. For instance, the representative of Sheffield (UK), awarded with an URBACT Good Practice label for their Urban Waterways Strategy and Action Plan, emphasized the contribution of anglers and kayakers, everyday users of Sheffield waterways, to developing a successful strategy. Personal encounters with nature are part of everyday experience of the inhabitants of Ljubljana, the 2016 European Green Capital. The proximity to nature is one of the Slovenian capital’s greatest assets. Rural areas cover 2/3 of Ljubljana’s total area, including 826 active farms. In recognition of this close relationship, the city - as probably the only capital in Europe - employs a special advisor for rural development, Maruška Markovcic who was our guest in Tallinn. 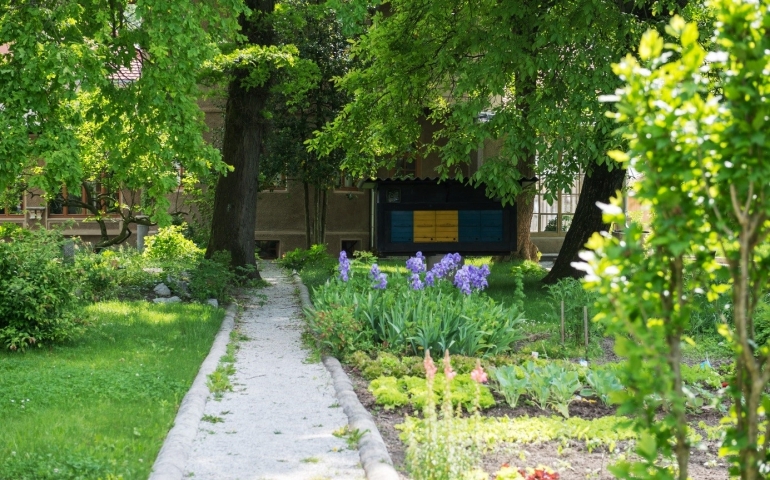 The project that Maruška introduced, Bee Path, is an excellent example how nature protection can be a starting point for addressing community cohesion, education, food security, economic development and tourism, as well as urban design and planning. The initial premise of the project was simple: protect the bees to safeguard biodiversity. However, in a city with a strong commitment to sustainable development and a vibrant beekeeping culture – including approx. 300 active beekeepers! – the idea quickly snowballed. Initiated by the city administration, the project now involves a long (and growing) list of partners: beekeeping associations and other civil society organizations, universities and research institutes, private companies, schools, cultural institutions, as well as individual citizens. How do you involve museums in biodiversity protection, make beekeeping a tourist attraction and get architects to design open source beehives? The secret to this cooperation is pursuing a common goal of safeguarding Ljubljana’s beekeeping culture, while respecting differing interests of each of the partners. Bee Path is not about involving others in the implementation of a plan, devised by local government or external experts. On the contrary, everyone is invited to contribute their ideas and activities in support of a broadly defined shared goal. The openness, while requiring a lot of facilitation effort from the side of the local government, results in the involvement of unusual suspects and brings about fresh ideas. The question of mobilizing around a common goal and winning support from others is key. How to convince organizations and people, sometimes those sitting across the corridor from us, that working to protect nature can help them reach their goals, whether it’s social cohesion, better image of the city or new business opportunities? A good case in point was the story of “All united for biodiversity” charter, initiated by the Eurometropolis Strasbourg (FR) in 2012 and now gathering 75 signatories, mostly from the private sector. Susanne Brolly, project manager for Zero Pesticide Strasbourg and Nature in the City portfolio, recalled that the charter beginnings were not easy. It turned out that biodiversity protection was not high on the agenda of locally based companies producing shoes or chocolate and it was difficult to convince them to sign the charter. However, Brolly quickly learned that what companies appreciated was an opportunity to involve their employees in team building activities and, seen from this perspective, tree planting, nest building or bee keeping were obviously very attractive proposals. Today 88% of signatories involve their staff in biodiversity-related activities which in turn contributes to more people becoming aware of nature-friendly management practices. The charter signatories are not only companies but also public institutions. 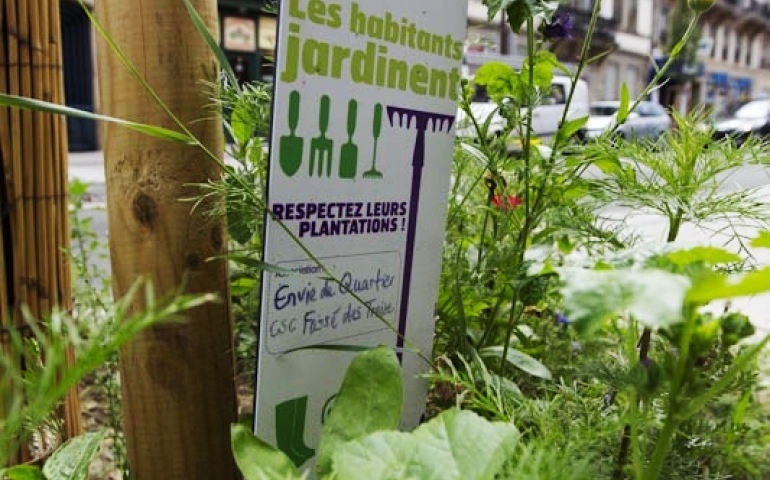 For instance, Strasbourg is now embarking on a project with the local prison to offer gardening workshops to women prisoners, providing them with new skills, improving their mental health and wellbeing, as well as contributing to better management of green spaces within the city. This is another illustration of multiple benefits related to nature in the city, easily accessible to cities all over Europe. These examples provide the opportunity to look at nature in the city from a different perspective, beyond technical solutions, environmental impact assessments or sustainability indicators. These are all important and often addressed by local, national and European projects but I wonder if, by outsourcing environmental debates to experts, we have lost something valuable. The four cases are all in different ways trying to reclaim nature for citizens (and vice versa), while bringing in scientific expertise to support those efforts. Focusing on crowd funding and crowd sourcing knowledge, as well as on building coalitions where each partner chooses their own path to move towards a common goal, we were reminded of the power that nature has in bringing us together. This power can be harnessed by each and every city, regardless of their size, geographical location or financial capacities, and URBACT Good Practice cities are here to help you.